Founder Evin O’Riordain opened The Kernel Brewery in 2009 under a railway arch. He was named the Brewer of the Year by the British Guild of Beer Writers in 2011. 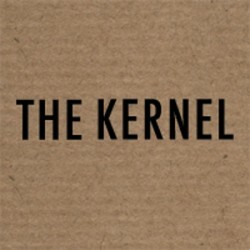 The Kernel is a challenging young brewery in London that has rapidly acquired acclaim for its bottle-fermented beers. Sour has some acidity on the nose but less than a lambic infused with a musty “horse blanket” character. Tart and appealing lemon and lime fruit tickle the nose buds and build in the mouth with juicy malt and a light hint of hops. The finish is tart and lemony, with gentle hop bitterness and sappy malt. It’s quenching and rewarding. A Berliner weisse from London? Unimaginable even just a few years ago. That’s how much the brewing scene has changed. A major player in the revival has been The Kernel, a small brewery in every way except for taste, as this interpretation of a classic German beer style reveals. The label says Sour, so you have been warned. After an aroma of tart lemons and peppery spices, the beer bursts onto the tongue, shriveling the palate with its lemon-juice sharpness and softly burning acidity. The first sip is shocking, but then the beer mellows, leaving a spritzy, dry, sour-lemon finish. Author of 300 Beers to Try Before You Die and 300 More Beers to Try Before You Die. Respected beer authority and editor of the CAMRA Good Beer Guide and www.protzonbeer.co.uk. Jeff Evans is author of the Good Bottled Beer Guide, The Book of Beer Knowledge and Beer Lover’s Britain. More of his writing can be found at www.insidebeer.com.